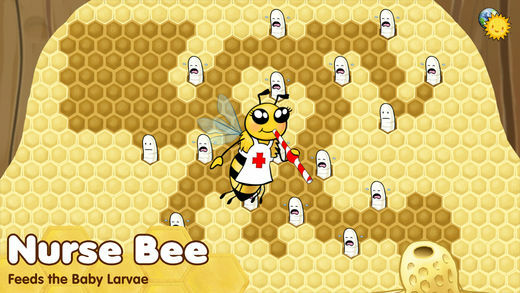 Bee Amazed is a new mobile game from GeoTots™ that I helped create and produced all the art for. 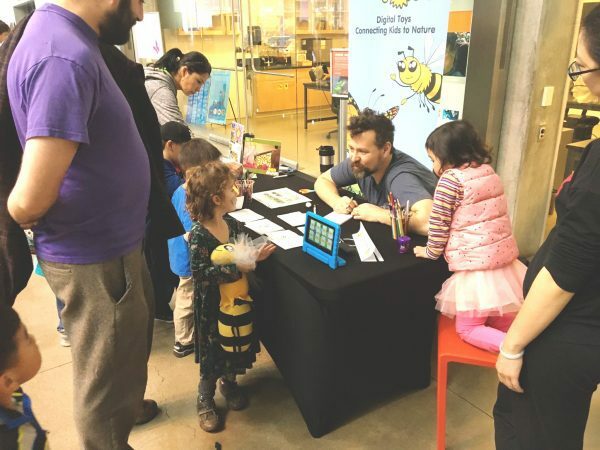 Bee Amazed teaches the youngest children about the importance of bees and the different roles they have in the honey hive, using mazes and other fun activities that are rooted in real-world, science-based content. 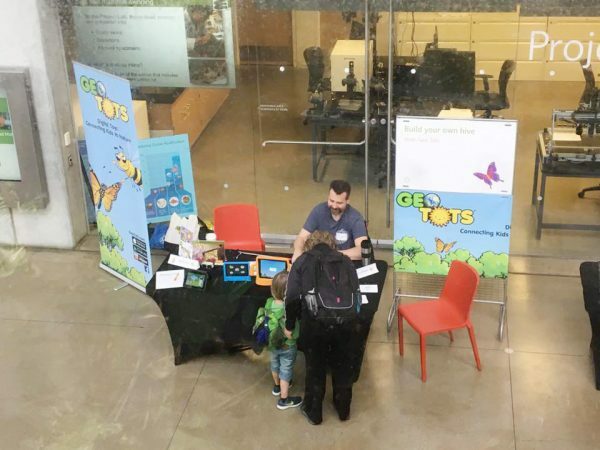 We were invited to spend six weekends demoing our beta version at the California Academy of Sciences in San Francisco. We got tons of great feedback from kids, parents and scientists, and it’s all built into this final version of the game. Go download it now! Bees are important! Have a meaningful chat with kids! 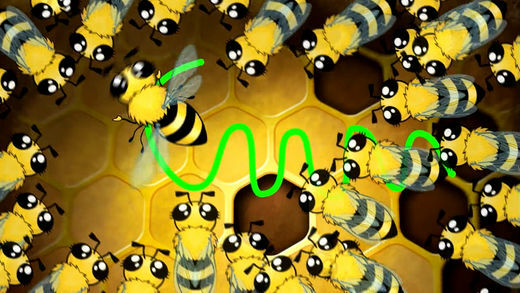 WHO’S WHO IN THE HIVE? 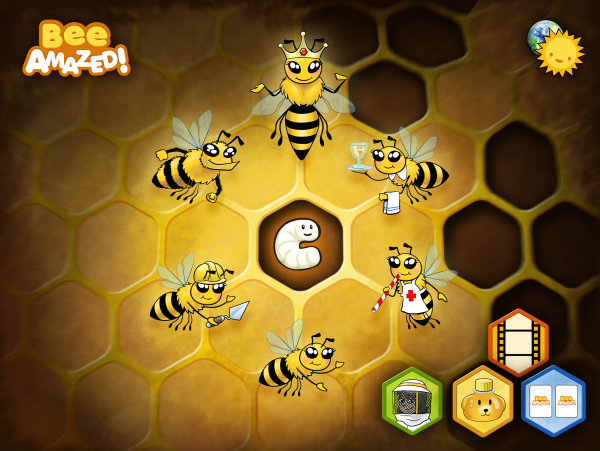 Complete a maze and help the bee hive thrive! Learn while you play. Many Mazes full of fun. Plus choose which egg the Queen Bee lays. 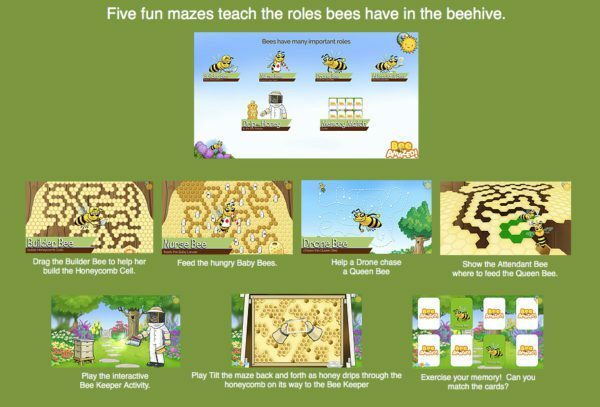 Five fun mazes teach your child the array of roles bees have in the hive, Learn while you play! •Build your own Pollinator Garden. •Baby Bees are hungry, Help the Nurse Bee feed them. •The Attendant Bee works hard to feed the Queen Bee, Be her assistant! 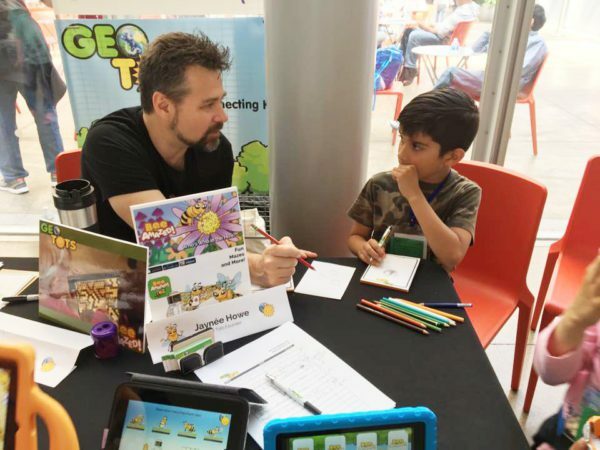 •Drag the Builder Bee to help build the Honeycomb Cell. 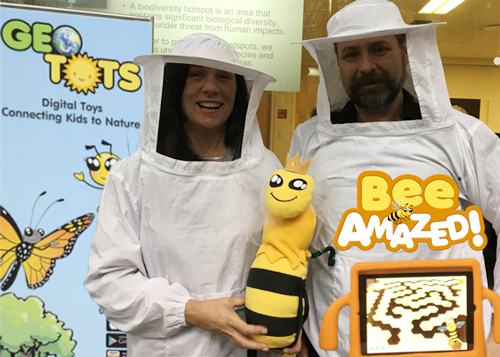 •Learn the Waggle Dance with our Forager Bee. •Help a Drone chase the Queen Bee. •Harvest Honey– Tilt your maze back and forth to drip honey through the honeycomb. 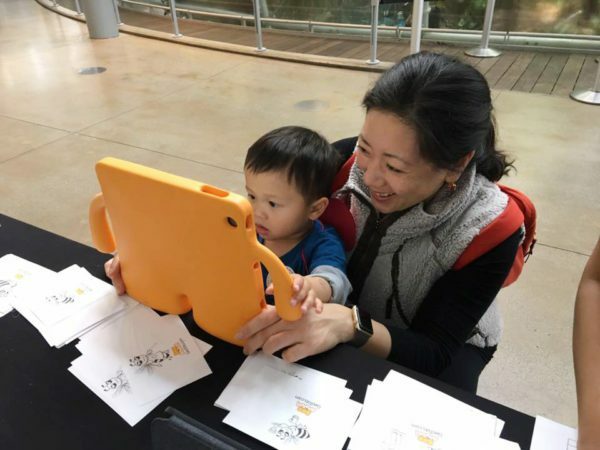 For more quality screen time, check out the Memory Match game. BeeAmazed! Based in Science, Fueled by Fun. Have fun while learning about who’s who in the bee hive. 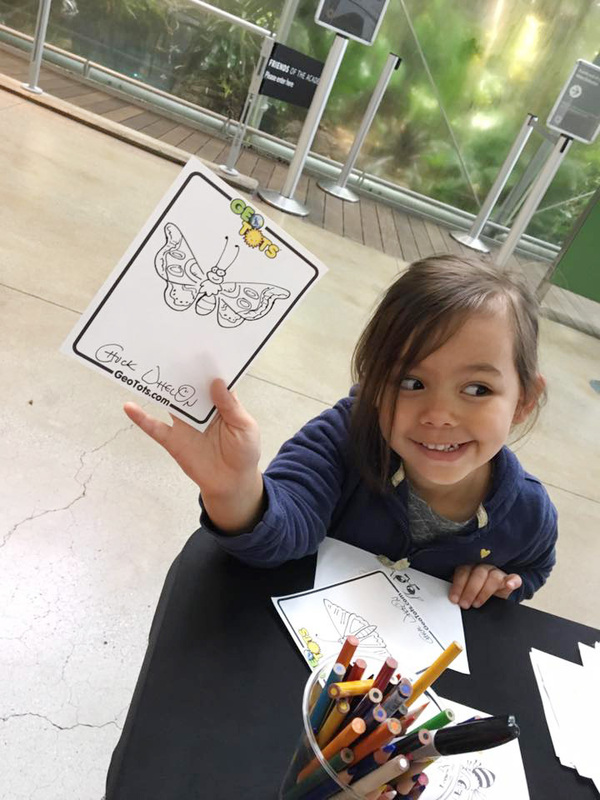 Fun interactive play with a real educational experience offers over 20 activities designed to spark curiosity about bees and nature. Parents just touch the sun at the top of each screen to find key teachings to help you guide your child into deeper learning. • The Forager Bee leaves the hive to find food. She’s skilled in collecting pollen into tiny pollen baskets on her legs. She slurps up nectar through her tongue, also called the proboscis. See a Waggle Dance! • The Builder Bee builds the honeycombs, and you can too! 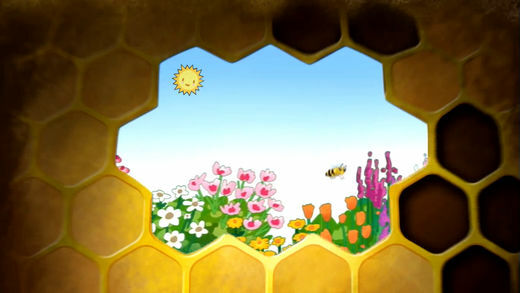 In the first maze, touch the screen and help the Builder Bee build the honeycomb. Complete the maze and watch bees fill the honeycomb cells with honey, made in their own bodies with consumed pollen and nectar. • Nurse Bees feed the babies. Some babies get a special white liquid called “royal jelly.” These babies grow up to be Queen Bees. 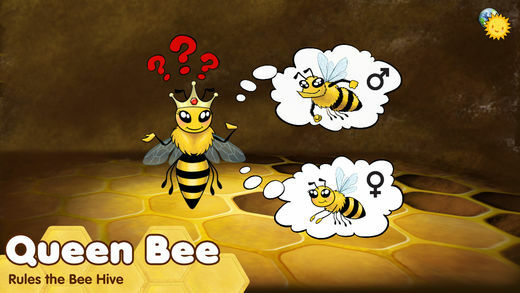 • Did you know Drone Bees are the only males in the hive? They fly outside to find and chase a Queen Bee from another hive. A Queen Bee rarely exits a hive. She spends most of her life inside the beehive having babies and keeping the hive healthy and strong. Engage and educate while you have fun.